Disappointed there were no yelps or profanity in the video. I tried Nair. I'm unconvinced that it's any better than a good razor. I have tried Nair too. It seems to help in those areas that get ingrowns. Like the back of the knees and the inner thigh area. Can't believe Im talking about inner thigh area on a ski/bike blog. Oh dear. You only did half of the upper leg didn't you? Nothing beats the pain of the inner thigh. good lord man. 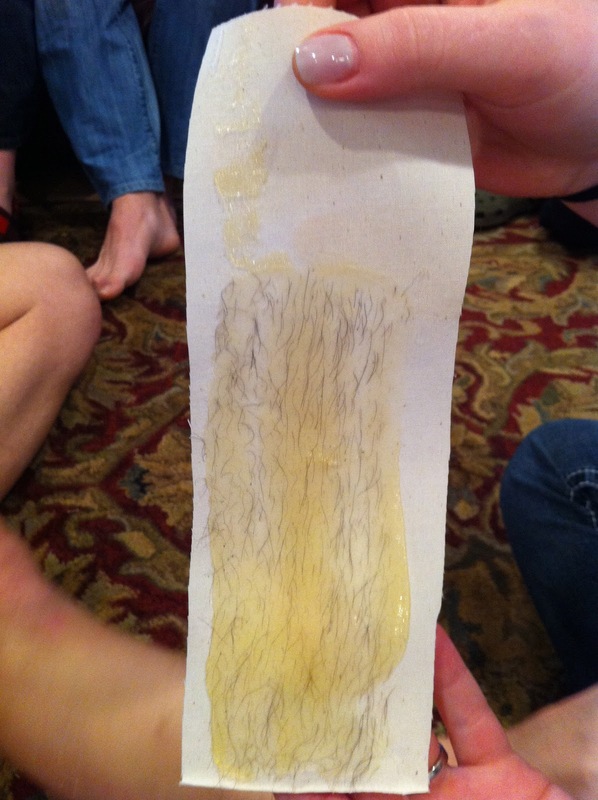 you shave once a week and your sis pulled that much hair off your leg. you are indeed neanderthal man. Kris: Anytime the video was rolling, I braced myself to ensure I showed no pain. Adam: Nair is no more effective and more time consuming than a razor. We'll see how long the wax lasts, but it's a different beast entirely. 360: Inner thigh was nothing compared to the back of my Achilles. Zeph: This is more than a week's worth. I let it grow special just for this occasion. i've a friend who nairs his nuts. thankfully he's finished having kids cause i'm sure his sperm is all kinds of whacked out due to exposure. I can't tell you how much I appreciate that mental image. If it's someone I know, please don't tell me. nuts sperm whacked out exposure.